The recent events arising in connection with the competition for the 2015 FIM MotoGP world title have had a damaging effect on the staging of our competitions and poisoned the atmosphere around the sport. We are moving away from the tradition of pride in sportsmanship that is part of the heritage of motorcycling. Everyone has the right to express his or her own ideas. But words and actions always have consequences. Every individual has to take responsibility for those consequences. The riders, first of all, must be aware of this. Each one of them has thousands of fans who follow their exploits on the track and listen to what they say off the track. For that reason, we look to them, not just in this Championship but in all our disciplines, to set the best example of what our sport should and aspires to be. This responsibility is also shared by the people who form their entourage, beginning with their teams and sponsors. Whatever the rights and wrongs of the matter, if some of those people unnecessarily fuel polemics about events or decisions in a wrongheaded way, they are doing a great disservice to the sport, to the detriment of our entire community and all the good things it offers to everyone. Riders, teams, manufacturers and sponsors should not only respect the rules but they should accept the decisions of the officials, whatever they may be. Otherwise, they are contributing to anarchy and undermining the future development of our sport. On behalf of the FIM and all those who are doing their best to bring about a happy conclusion to this Championship, I express the hope that at the next and final round in Valencia the riders will fight it out on the track and in a way that fully respects the spirit of fair play. The long road to recovery: endless doctor appointments, scans, tests, and readjusting life to allow for as much recovery as quickly as possible. With a head injury, the recovery time varies and it is near impossible to predict how long you will be unfit to ride. I spent days and days inside a hyperbaric chamber to increase the oxygen flow in my body and speed up recovery. MARKHAM, ON (Oct. 15, 2015) – Honda is pleased to announce its 2016 CBR lineup, with the aggressive new styling of the CBR500R leading the way. Almost 25 years after the introduction of the CBR900RR, Honda’s modern sport bikes have always placed performance hand in hand with reliability. “Since the introduction of both of the CBR500 and CBR300 models, we’ve seen a continuous increase in their popularity. The updated 2016 CBR500R is a striking new take on the larger of the two models. Both draw from the successful racing DNA of the CBR family but in entry level packages that have large appeal,” said Derek Verheyen, National Sales Manager, Motorcycle Division. With all-new styling that offers a sharper, more aggressive look and refinements like LED headlights and taillights, the new CBR500RA adds great curb appeal to legendary performance and reliability. Other updates include a new muffler design, an adjustable front brake lever, optimized gear change feel, a hinged fuel cap on a larger fuel tank and better suspension. For increased security, the CBR500RA now uses a wave ignition key. The inline twin 500cc engine offers accessible power output that smoothly revs up to redline, while emphasizing low to mid-range torque for real world usability. Long heralded for its excellent handling and stellar realworld performance, Honda’s legendary CBR100RR is back for 2016 with a 999cc liquid-cooled, inline four-cylinder engine, assisted slipper clutch and twin-spar aluminum chassis. It’s offered in standard and ABS configurations. The SP version with stand-out premium features for track-day enthusiasts, including fully adjustable Öhlins suspension, Brembo front brakes, Pirelli Diablo Supercorsa SC tires, a special lightweight subframe and solo seat cowl. Returning to Honda’s 2016 lineup in a new Black/Ross White colour is the versatile CBR600RR, comprising an impressive package of handling, power, compact size and overall performance. Whether customers are looking to tear up the track, carve through the canyons, or commute to work, this versatile middleweight sport bike can handle it all. The popular and race-proven CBR600RR is available with Honda’s revolutionary Combined Anti-Lock Braking System (C-ABS), offering added confidence under less-than-ideal conditions. Value-oriented riders desiring sporty but user-friendly performance will be pleased with the return of Honda’s popular CBR300RA, the smallest-displacement model in Honda’s sport bike lineup. Known for being an incredible value, the CBR300R impresses with enough versatility that it also appeals to experienced riders. A single-cylinder engine with counterbalance shaft and a wide powerband combines with a narrow cross section to provide a light, nimble motorcycle that boasts excellent fuel economy. Customers can opt for either the ABS or non-ABS version. Yamaha introduces more affordable S version of the R1! Cypress, CA - @AIMExpo • @YamahaMotorCA - The 2015 YZF-R1 took the litre-class sportbike world, and the world’s racetracks, by storm, winning accolades and trophies around the globe. For 2016, Yamaha Motor Corporation, U.S.A., has upped the ante, giving sportbike riders a third R1 model from which to choose. The 2016 YZF-R1S offers yet another level of perfomance specifically geared towards budget-conscious sportbike enthusiasts who do most of their riding on the street. Yamaha engineers replaced some of the R1’s higher-spec components like the titanium connecting rods and exhaust headers, magnesium oil pan and wheels, and softer-compound tires with lower-cost components. The result is a litre-class sport bike with a slightly higher curb weight that sacrifices virtually none of its real-world R1 performance-including the legendary “Crossplane Crankshaft Concept” engine; titanium muffler; six-axis Inertial Measurement Unit (IMU); electronic traction, slide, lift, and launch controls, and ABS--and delivers it all at a lower suggested retail price. The 2016 R1S will be available in Matte Gray and Intensity White/Raven/Rapid Red, and will retail for $16,699, a full $2,300 (CAD) less than the base R1! Availability in Canadian dealerships is expected beginning in February. 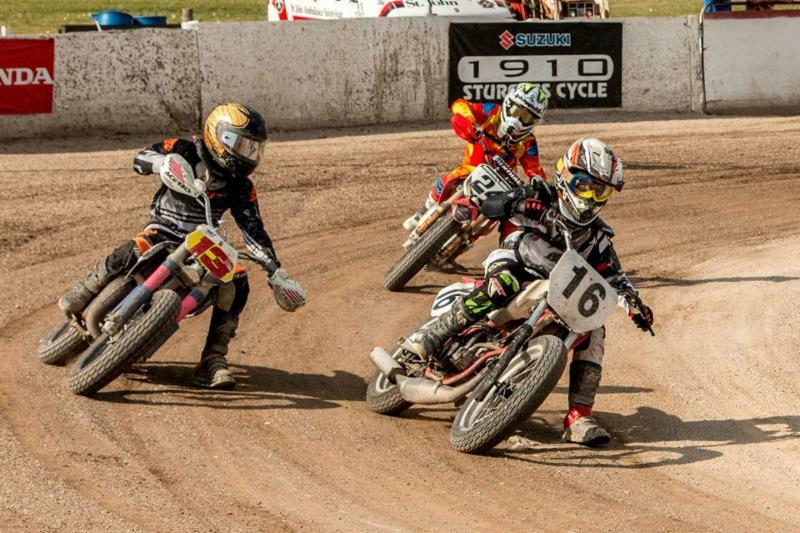 This is the time of year supermoto clubs in Canada bid farewell to 2015 and start planning for 2016. We reflect on some of the best times of the season and those standout moments. Supermoto is about the people and not just the cool bikes/quads. Canadian teenager Ortt almost wins KTM RC 390 Cup World Championship! Alberta teenager Braeden Ortt, who finished third overall in the MotoAmerica KTM RC Cup, came within .008 seconds of claiming the title in the KTM RC Cup World Championship held at Britain’s Silverstone Circuit October 2-4. 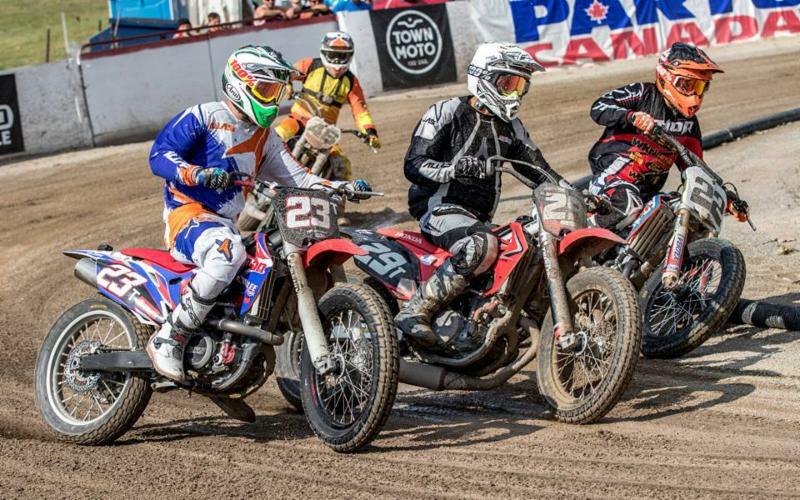 Featuring 24 riders from 10 different nations, the event would crown a champion based on finishes in two eight-lap races around the 3.7 km course. Following morning qualifying, Ortt, still struggling with the effects of a broken hand suffered during practice for the final MotoAmerica RC Cup event in New Jersey, found himself starting Saturday’s race from 16th place on the grid. A well-executed race saw the 15 year old finish in third place, less than half a second behind the race winner. Starting from 14th place on the grid on Sunday, Ortt and his North America teammate Hayden Shultz took turns leading the race, with Ortt in the lead coming into the last corner where he was overtaken by eventual race winner and 2015 KTM RC Cup World Champion Dijm Ulrich. Ortt’s second place finish, just .008 seconds behind the winner (only .866 of a second separated the top ten finishers), combined with his third place Saturday finish gave him third overall in the KTM RC Cup finale. With his third place overall finish in the 2015 KTM RC Cup World Finals, Braeden will receive a KTM RC 390 for the 2016 race season. More information on the KTM RC Cup World Finals can be found online at http://www.ktmrccup.com/int/rc-world-cup-final/, while race fans can keep up to date with Braeden at http://www.braedenorttracing.com. In a recent Touring Essentials blog we looked at some pointers for being able to enjoy riding in the rain. One point was to ensure you have a good rain suit to wear over your gear or rain liners to put on inside your gear. This isn’t always necessary. 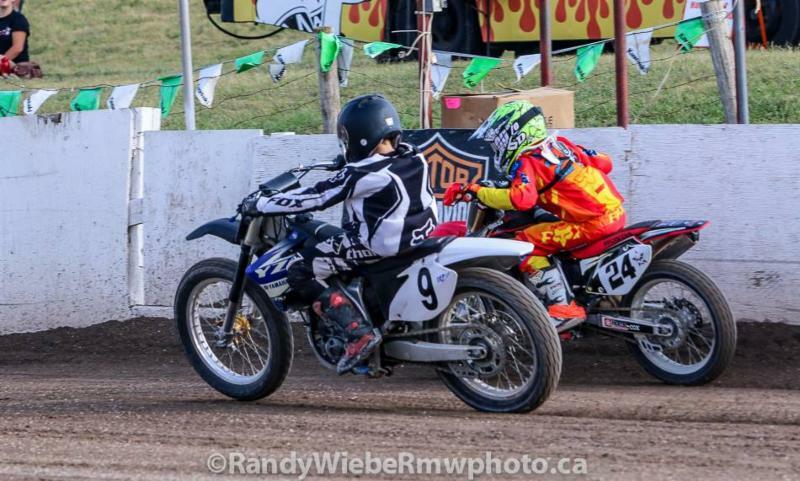 Bushell Park, SK — September 16, 2015 — With the last round of the Canadian Motorcycle Association (CMA) National Mini Roadracing Series now complete, Finn Motorsports riders Jonathan & Matthew Finn have again demonstrated their abilities and consistency to battle for the podium throughout the 2015 racing season. For the 2015 season, Jonathan’s goals were to continue to develop his riding abilities on his bikes while maintain a consistent presence on the podium. His “smooth” riding style, as described by many of his competitors, helped to push his capabilities as a rider. Jonathan amassed 24 podiums including 14 race wins in 4 different championships across western Canada. 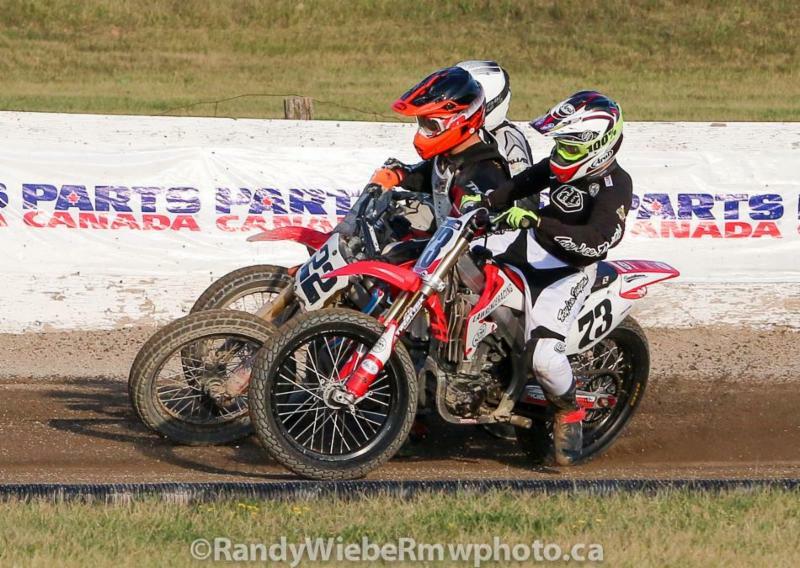 This consistency helped Jonathan earn 4 championships including a CMA national championship, Western Canadian Mini Roadracing Championship and a runner-up in the inaugural Honda Canada Grom Prix series. With his sights clearly set on his future, Jonathan looks forward to his goal of competing internationally. 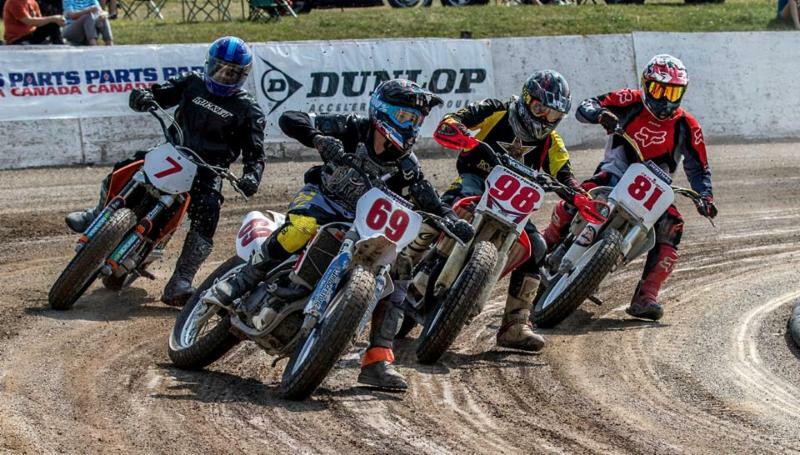 The Finn Motorsports Team competes in multiple championships throughout western Canada including the Canadian Motorcycle Association’s National Mini Roadracing Championship, the Western Canadian Mini-Roadracing Championship and the Alberta Mini Roadracing Association Provincial Championship. The team competes with support from Canadian Tire Moose Jaw, Honda Canada, Arai Helmet Americas, Lucas Oil, JT Sprockets, BigB Racing, Bickle Racing, DeCal Works, Gatorade Canada, Cruisers Collision & Custom, Impact Safe-T Armor, Motonation Canada, Sidi, LifeProof, Meidl Honda, Vixen Hair Studio, Motosport, Luzi Racing, Janman Leathers, SPY, RePlay XD and Inside Motorcycles Magazine. 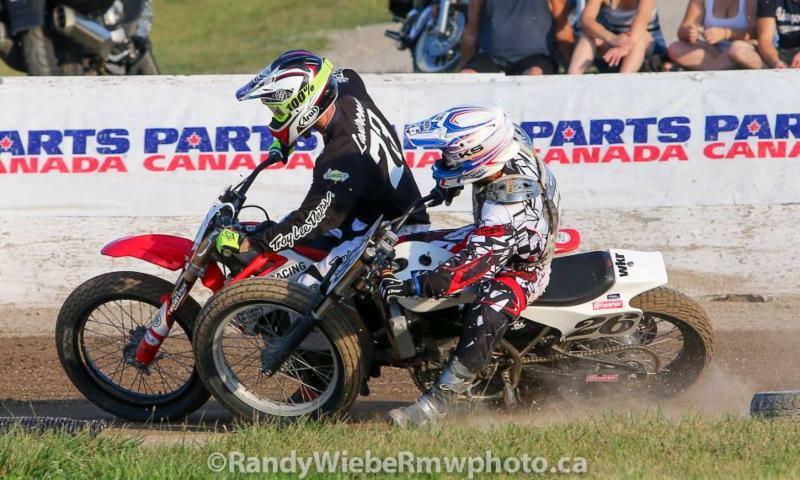 As fans dealt with the blistering heat during the Flat Track Canada round at the Paris Fair, they were witness to a great rider who is riding a hot streak. 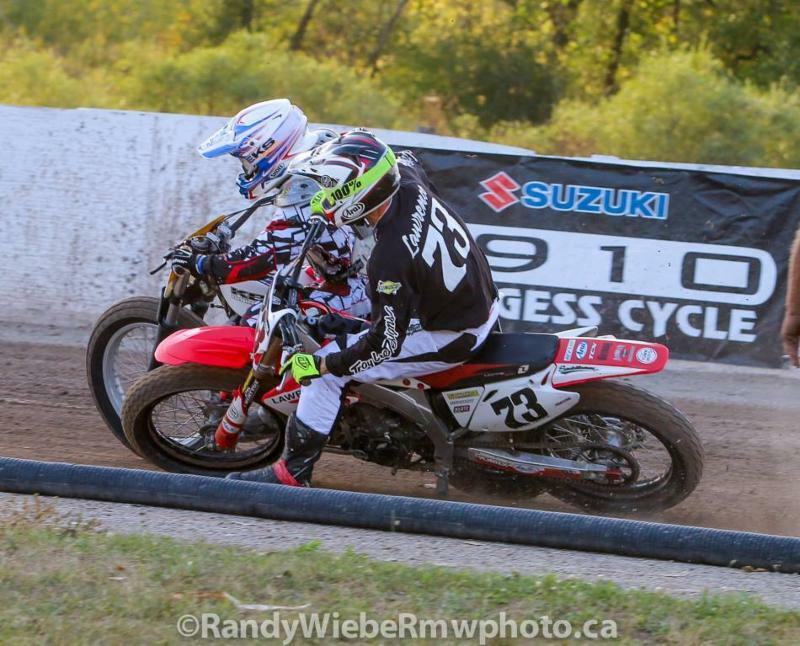 After taking most of the summer off, Steve Beattie followed up his win in London a few weeks ago with a victory on Flat Track Canada's shortest track. Not only did the win at the fair make it two in a row for Beattie this year, it is also the third year in a row that Beattie has won the main event at the fair. When the green light flashed to start the final, fans knew they were in for a treat as the trio of Beattie, Doug Lawrence and Tyler Seguin hit turn one virtually side by side. For anybody who thought current points leader Lawrence might play it safe, those thoughts were quickly dashed after he "moved" Beattie out of the way in turn three early on to take the lead. This lead was brief however as just one straightaway later Beattie returned the favour in turn one. The next few laps were a spectacle of talent and trust as the three riders up front took turns jockeying for position. When the checkered finally waved it was Beattie riding one wheel across the line just ahead of Lawrence, with Seguin in third. 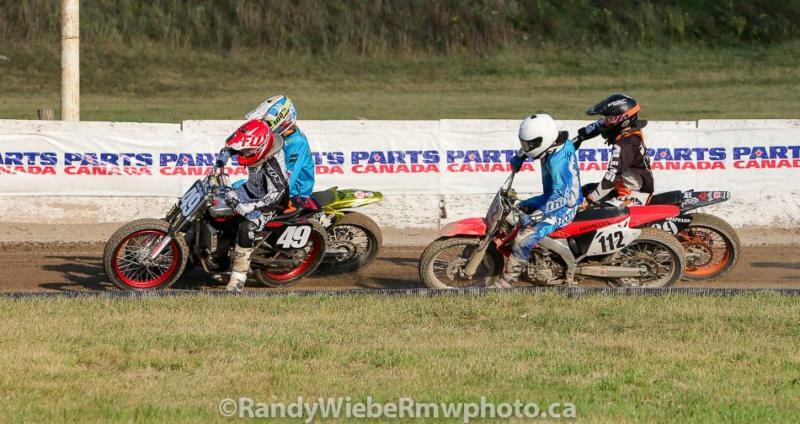 While Seguin was unable to grab victory in the Open race, he did have a lonely ride to first in the DTX Expert class. Rookie Expert Braden Vallee inherited second place after Nick Wenzler went down and Brandon Seguin rounded out the top three. With Intermediate ace Brodie Buchan moving up to Expert after the Paris race, he made sure his final Open Intermediate final was a memorable one. After a couple of tries at running the race were nullified by red flags, London winner Cody Marentette found himself in the lead. While Marentette was enjoying life up front, Buchan was slowly closing the gap like a hunter stalking his prey. With one lap to go Buchan made his move, leaving Marentette virtually no time to strike back. Buchan crossed the line first to take the win, with Marentette second and Alex Olsen having a great ride and grabbing third. Having a great day in Novice action was the number 69 machine ridden by Bruce Martin. After starting in the back, Martin made steady progress to the front and took the win in Open action after Dustin Brown went down in turn one. Martin was also able to grab a second place in DTX action behind Brown while newcomer Brian Zapp rounded out the final podium position. Fans were given a treat early on in the afternoon when the final in the 85cc class was run. Much like the Open Expert final, there were three and sometimes even four riders fighting for the lead. When it was all said and done it was Mack "Wooden Wheels" Willms taking the victory with Boyd Deadman and Jimmy McCullough rounding out the top three. 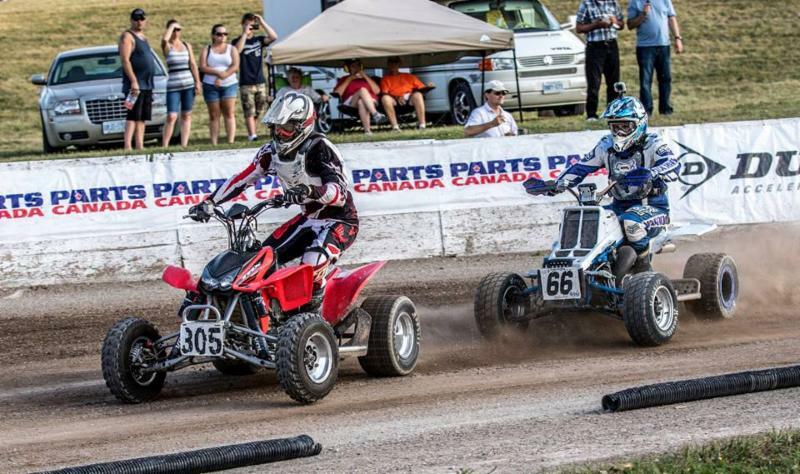 McCullough was involved in the closest finish of the day which took place in the 250 Novice class. With Hunter Bauer out front, McCullough slowly chipped away at the lead which led to a frantic last lap between the young speedsters. When the checkers flew it was Bauer grabbing the win at the line in a virtual photo finish at the line over McCullough with Willms taking third. ATV Open action proved to be a wild race that included a get together of a few machines in turn two of the opening lap. After spinning out a couple of times early in the day in practice, Darcy Ryksen proved he had figured out the new track surface and took home the win. Peter Grison and Ben Shoalts weren't far behind and finished second and third respectively. With the completion of the Paris short track, this leaves one more race on the National series which will take place September 19th in Wheatley. Toronto ON – September 09, 2015 – The Canadian Motorcycle Hall of Fame is extending the sales of early bird tickets to September 30th, 2015 and has made a change to the event proceedings for the evening of November 7th, 2015. 11 legends and champions will be honoured at the Tenth Annual Canadian Motorcycle Hall of Fame Induction Banquet and Reunion, which takes place on November 7th, 2015 at the Sheraton Toronto Airport Hotel & Conference Centre in Toronto, Ontario. Early Bird Tickets for the Eighth Annual Canadian Motorcycle Hall of Fame Induction Banquet and Reunion are available at www.canmoto.ca until September 30th, 2015, when regular pricing will come into effect. Sponsors of the event are eligible for reduced pricing and complimentary tickets in some cases. Founded by Bar and Hedy Hodgson in 1999, the Canadian Motorcycle Hall of Fame preserves and promotes Canadian motorcycle history for the benefit of the motorcycling community and public. Sponsored in part by the Motorcyclists Confederation of Canada (MCC), the Canadian Motorcycle Hall of Fame is a non-profit association with charitable status. It is governed by an independent board of volunteer directors representing every region of the country. Since the first induction banquet in Toronto in 2006, over 100 distinguished motorcyclists and organizations have been inducted into the Canadian Motorcycle Hall of Fame. For information about past inductees, historic motorcycle collections, event sponsorship, silent auction and tax-deductible donations, visit www.canmoto.ca.